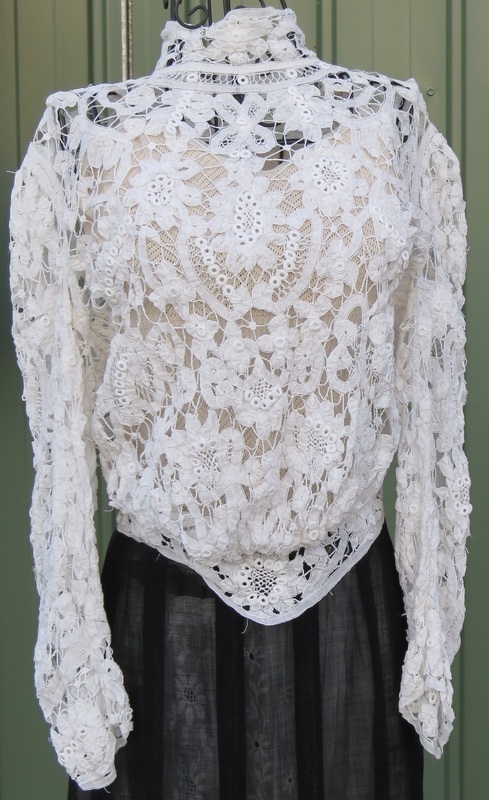 Edwardian XS 4; separates. Because no two whites are the same, we suggest pairing a white with a colour. Pigeon-breast styles should be worn loose about the bust. Esh6 B 82, W 60, circumference of collar 38cm, 46cm length of back. Long loose sleeves. Pigeon-breast style. Battenberg lace, not lined. $160. Esk10 XS-S W 61cm, length 82cm. 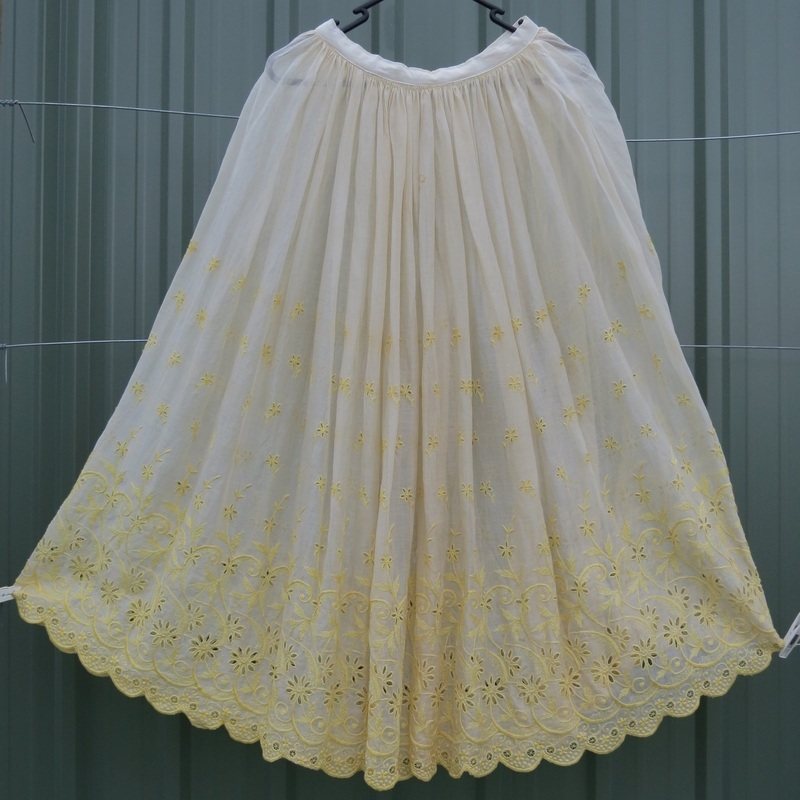 Sheer light beige with sunshine-yellow threaded cutwork embroidery. $110. Esk11. Waist 61cm. length 86cm. 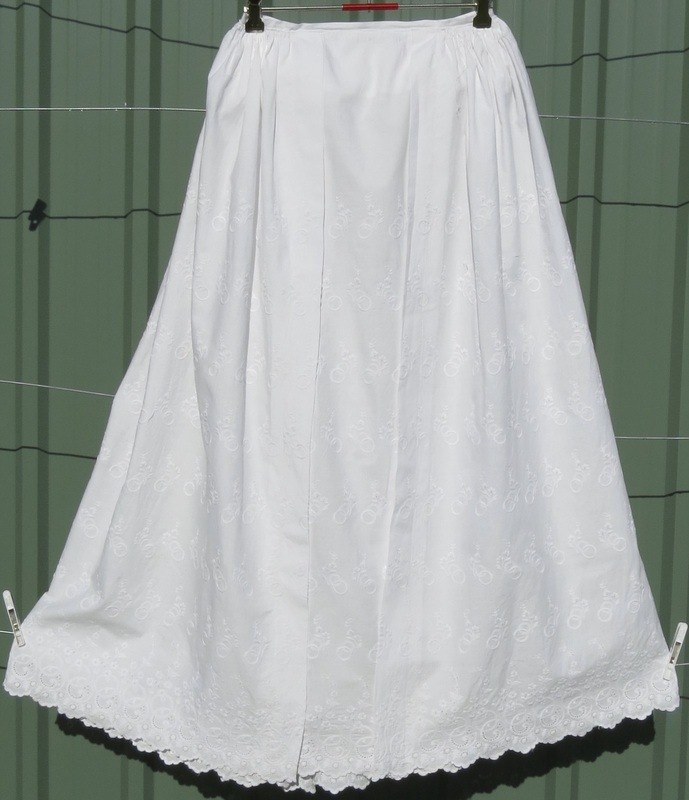 Late Victorian wedding petticoat, too pretty to hide; wear as a skirt. Embroidered with interlaced wedding rings and flowers. Said to be linen; unusual fabric with a papery rustle. $90. Esk11. Has internal ruffle flat at the front, gathered at sides and back; to make skirt stand out from the waist and give slight bustle effect.